HOT SPRINGS, AR- ThoroCap, established in 2004 as a Thoroughbred handicapping service, will relaunch on Thursday, April 25, 2019. ThoroCap will continue to provide a wide range of handicapping products, but has expanded its focus to include providing news, analysis, and commentary on Thoroughbred racing and the Thoroughbred racing industry. According to the U.S Equine Economic Impact Study, the horse industry generates approximately $40 billion in direct economic impact annually and has a total economic impact of more than $100 billion, approximately $30 billion of which comes from the racing sector alone. Over all, the horse industry generates the equivalent of 1.4 million full-time jobs and pays almost $2 billion per year in taxes. In January 2019, Equibase reported that pari-mutuel wagering increased by 3.3% to $11,265,519,563 in 2018, the largest single-season increase in 18 years. “That does not speak to a dying industry,” Robbins said. In addition to its primary focus areas- news, analysis, commentary, and handicapping products, ThoroCap has also launched ThoroCap Supports, a program that provides free advertising, promotion, and a public forum for the non-profit organizations that support those involved in the industry: backside workers, jockeys, the horses themselves. Don Phillips, a long-time sports writer and analyst based in New York, who serves as CEO of the ThoroCap division of DHHS, LLC., enthusiastically endorses ThoroCap Supports. Phillips said, “When Chris first mentioned the idea, I told him we almost had to do it. It’s a positive for the racing community, and just felt like the right thing to do.” Phillips, who suffers from profound Cerebral Palsy noted that philanthropic organizations, such as those ThoroCap supports was created to assist, play a vital role in meeting needs that would otherwise remain unmet. Robbins, the owner of ThoroCap’s parent company Diversified Holdings of Hot Springs, LLC (DHHS, LLC), has been directly involved in the Thoroughbred racing industry for almost two decades, as a horse owner, writer, handicapper, and advocate for the sport. With ThoroCap, Robbins has attempted to create a service that offers a forum for all sides when addressing issues affecting the sport, and one that makes a clear distinction between news and opinion. ThoroCap itself takes no position the issues, rather it offers a forum for civilized discourse and encourages readers to form their own informed opinions. 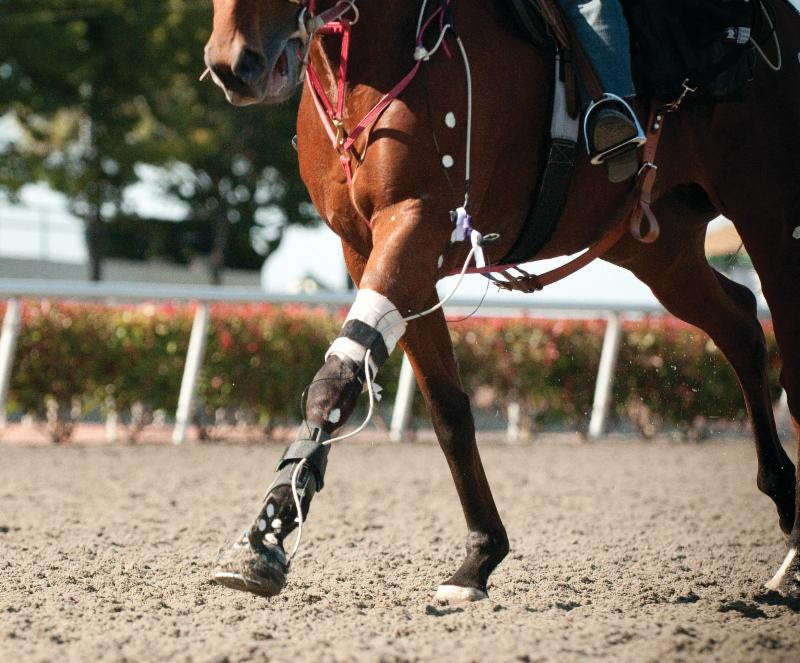 “ThoroCap also strives to offer a wide range of innovative handicapping products appropriate for beginning, intermediate, and advanced racing fans, who are the lifeblood of the sport.” Robbins said. The sport which brings us together is at a turning point. We have been divided for far too long on a variety of issues that impact our business. Most notably, the “Lasix debate” has been a debilitating one, inhibiting our collective ability to move ahead. The time has come for the industry to compromise – working together with all major constituencies to establish a mutually-agreed, new way forward. The recent announcement from a coalition of racetracks to introduce changes to their house Lasix policies was met with a series of statements from certain stakeholder groups restating their long-held positions. Compromise is essential. Absent a compromise, binding mediation should be considered. As major stakeholders, we believe the only way to grow revenue for the industry’s obligations – among them, aftercare and backstretch programs, equine research, jockey insurance and prize money – is through the growth of the sport’s overall “pie.” If our industry can collectively agree to compromise, we can finally move ahead together and address other meaningful issues that have inhibited growth in the sport for far too long. While racing has some long-standing traditions which have shaped our collective experience, nothing is set in stone. Let’s embrace that freedom to redefine the future. Our sport has recently been challenged in a manner that requires bold, serious and innovative action. But the longer-term reality should not be ignored, either. Foal crops are at 50-year lows. Handle is down close to 50%, adjusted for inflation, over just 15 years. Though tougher to measure, the social license racing enjoys is also questioned now more than at any point in recorded history. We must adapt to this, better exhibiting to the world – not just ourselves – the outstanding care our horses receive, and their majestic, innate desire to compete. We must unite and emerge stronger – for the horses, for our passion, for the future. Since our organization’s launch last summer, we’ve presented four substantive white papers tackling topics related to improving our sport’s approach to pricing, transparency, product development and access to information. Now is the time to present a fresh approach to racing. We have enlisted five industry leaders to present their take on improving different segments of racing through new approaches to long-stagnant “offices.” Their ideas will be released over the next two days. – Racing Administration and Planning: Rick Hammerle (long-time racing official, including 20 years at Santa Anita as racing secretary and vice president of racing). Presented with an opportunity to re-shape our industry and mindful of our precarious position, these suggestions should be met with open minds. Our interest in a healthy thoroughbred industry is shared. The process to achieve these much-needed improvements remains rooted in compromise, with all stakeholders understanding that once-entrenched opinions must be loosened in order to establish a modern sport. In the recently-published words of billionaire investor and philanthropist Ray Dalio, “collective decision making works much better than fragmented individual decision making so I urge you to understand it and employ it. If you don’t, you will be left behind.” Our future, as projected by five industry leaders, could be so much brighter than our past if we can collectively move beyond that which has divided us for so long and work together. Join us in this quest! 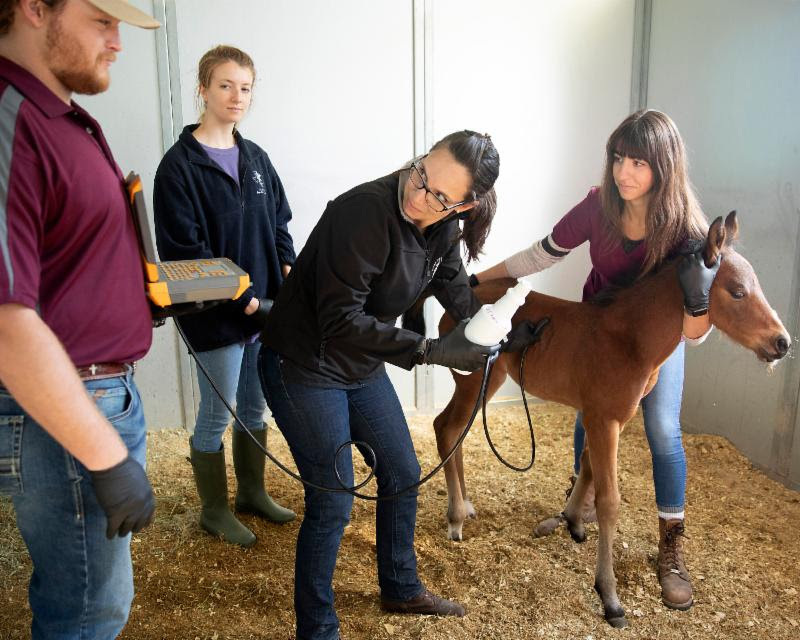 NEW YORK–The ASPCA® (The American Society for the Prevention of Cruelty to Animals®) today announced the participants in its annual Help a Horse HomeSM: ASPCA Equine Adoption Challenge. More than 170 equine organizations from 41 states and Puerto Rico are participating in the nationwide competition for equine rescues, shelters, and sanctuaries which is designed to increase adoptions of equines around the country. This year’s challenge has been expanded to include one grand prize, eight divisional prizes, and three social media prizes, totaling $150,000. Contestants will be placed into one of four divisions based on the number of adoptions they completed during the challenge period last year and for all of 2018. 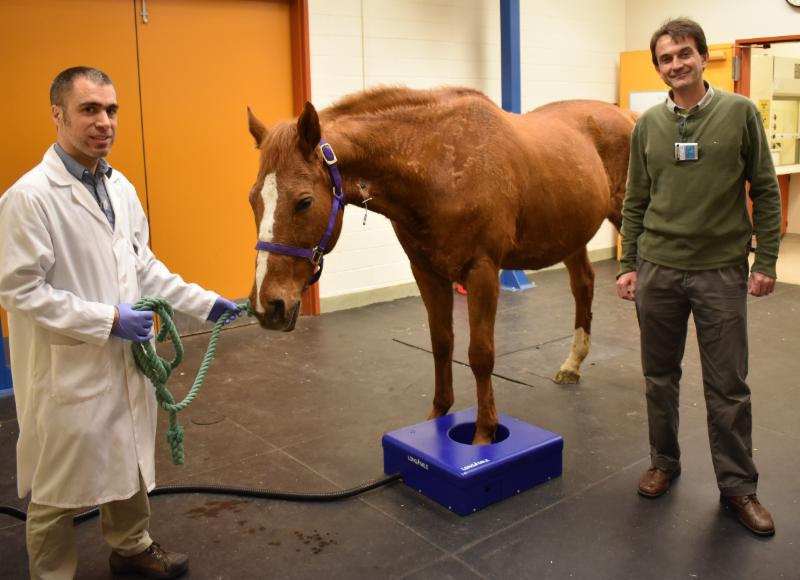 The ASPCA recently announced an exciting partnership with Zoetis US LLC to reduce the medical costs for the groups participating in the 2019 Help a Horse HomeSM Challenge. Zoetis will donate their new vaccine CORE EQ Innovator™ for every equine adopted during the two-month challenge period, up to 1,500 vaccines. Participants are also invited to promote their equines on My Right Horse, a new listing site created by The Right Horse Initiative for equines in transition. In 2018, equine organizations adopted out more than 1,000 horses during the two-month Help a Horse contest period, proving that there are more homes out there for horses. To build on the success of the 2018 contest, the 2019 challenge has been reimagined and renamed— Help a Horse HomeSM: The ASPCA Equine Adoption Challenge with $150,000 in grant funding available to equine rescues, shelters and sanctuaries who secure the biggest increase in adoptions compared to the previous year. Any U.S.-based 501(c)(3) organization or governmental agency capable of receiving grant funds and fulfilling an animal welfare or protection mission that adopts out horses or other equines is eligible to participate. The Help a Horse Home ChallengeSM kicks off on April 26—a date chosen for its significance to the ASPCA’s long history of horse protection. In 1866, ASPCA founder Henry Bergh stopped a cart driver from beating his horse, resulting in the first successful arrest for horse mistreatment on April 26 of that year. Each year, the ASPCA hosts a national grant competition to elevate the work of equine rescues that help at-risk horses who’ve been abused, neglected or find themselves homeless. For more information about the ASPCA Help a Horse Home ChallengeSM, please visit www.aspcapro.org/hahh. Any time a horse expresses resistance or undesirable behavior, it’s worthwhile to investigate why—it’s not always a training issue he’s simply refusing to do; the horse may be in pain. Horses have no ulterior motive; they simply seek relief from discomfort. Identifying the root cause of the discomfort the horse is trying to get away from can be challenging, yet is necessary to resolve the issue. A horse that swishes his tail, pins his ears or acts angry when girthed is trying to tell the rider something; if not addressed while small expressions, the outbursts may ramp up to bucking, rearing, bolting or otherwise attempting to avoid pain. They say April showers bring May flowers, but that’s not the only thing they bring. Rain rot, dew poisoning and abscesses are some of the less enjoyable products of spring’s rainy days and muddy pastures. While some horses seem to simply be more prone to wet weather-related ailments than others, there are a number of things horsemen can do to minimize the severity of ailments such as rain rot, or avoid them all together. Though often mistaken as a fungal disease, rain rot (or rain scald) is a common bacterial infection of the skin (also known as Dermatophilosis). Dermatophilus congolensis, the bacteria that causes the infection, lives dormant in the outer layer of the skin. When the skin is exposed to prolonged moisture (high humidity, rain, sweat), the bacteria infects the compromised skin, resulting in crusty, puss-filled scabs between the living and dead layer of skin. Daughter of Real Solution was her sire’s first stakes winner April 21 at Woodbine. Sister Peacock and jockey Jesse Campbell led gate-to-wire in the $100,000 Star Shoot Stakes for 3-year-old fillies at Woodbine April 21, boosting her record to three wins from five starts. Her only two losses were both runner-up finishes. Owned by Brent and Russell McLellan and trainer Stuart Simon, the Kentucky-bred daughter of Real Solution was a 1 1/4-length winner in the six-furlong feature, giving her sire his first stakes winner. Sister Peacock set fractions of :22.97 and :45.99 then kept her closest pursuer, Missmizz, at bay en route to victory in 1:09.53. Power Galfinished third off a ground-saving trip and Intanga Rose was fourth, edging out Si Si Tequila, who challenged three-wide turning for home before drifting out in the stretch. New York, NY – April 22, 2019 – The board of directors of Grayson-Jockey Club Research Foundation announced that it has authorized expenditure of $1,338,858 to fund eight new projects at seven universities, nine continuing projects, and three career development awards to fund veterinary research to benefit all horses. This is the fifth straight year that more than $1 million has been approved. Details on the new projects are available here. Those supporting the initiative include all tracks owned or operated by Churchill Downs Incorporated (CDI), the New York Racing Association, Inc. (NYRA) and The Stronach Group as well as Del Mar, Keeneland, Lone Star Park and Remington Park, Los Alamitos Racecourse (Thoroughbreds), Oaklawn Park and Tampa Bay Downs. Breeders’ Cup Limited, the Thoroughbred Owners and Breeders’ Association (TOBA) and its American Graded Stakes Committee and the Kentucky Thoroughbred Association also signed on in support of the proposal. OPELOUSAS, LA – Evangeline Downs Racetrack canceled the live racing programs for Friday, April 19 and Saturday, April 20, as a result of a technical issue with the track’s electrical system caused by the severe heavy rain which fell in the Opelousas area on Thursday afternoon. Evangeline Downs was forced to cancel Thursday’s racing program after four races were run due to the same issue, which caused several banks of the track’s lighting system to not function properly. Live racing at Evangeline Downs is scheduled to resume on Wednesday, April 24 with a nine-race program. Post time on Wednesday will be 5:50 pm Central Time. Evangeline Downs is currently in the midst of the 2019 Thoroughbred season, which will continue on a Wednesday through Saturday schedule through Saturday, August 24. For more information on the Thoroughbred season at Evangeline Downs, visit the track’s website at www.evdracing.com. Evangeline Downs’ Twitter handle is @EVDRacing and the racetrack is also accessible on Facebook at www.facebook.com/EvangelineDownsRacing. The Louisiana Thoroughbred Breeders Association is closing their main office at New Orleans Fair Grounds today, Thursday, April 18, 2019 at 2:30 p.m. due to the approaching storm front. We apologize for any inconvenience. The office will be closed tomorrow as well for the Good Friday holiday. LTBA will return to regular office hours, Monday, April 22, 8:00 a.m.- 4:00 p.m.